Encountering Hindus and Hindu beliefs can sometimes be overwhelming to some Christians because it all seems so different. Yet the basic principles of respectful listening, genuine love, faithful prayer and presenting Christ not Christianity are fundamental to living well in a pluralistic culture. In this simple and easy to read book Robin Thomson gives a very good primer to engaging with Hindus in a respectful & genuine way. He introduces basic concepts and worldviews and shows both the similarities and the differences. There is humble acknowledgement of past failures by Christians and churches and a genuine desire to engage not just 'win'. Most helpfully he focuses the Christian not on winning arguments but on presenting Christ. If you end up having ongoing and consistent engagement with Hindus then this won't be the only book you need to read. 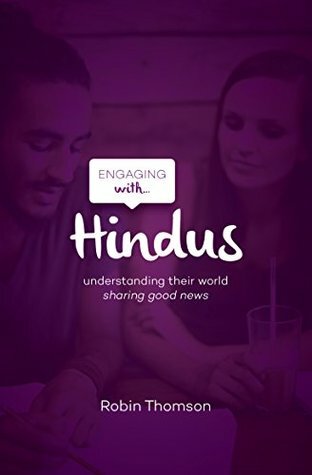 But if you've no idea where to start in engaging with your Hindu friend then this is a great place to start. Sign into Goodreads to see if any of your friends have read Engaging with Hindus.